Cosmic Confusion: It's How Science Gets Done : 13.7: Cosmos And Culture Recent results cast doubt on claims that a much-hyped experiment has detected signals from the Big Bang itself. That's just another example of science in the making, says commentator Marcelo Gleiser. 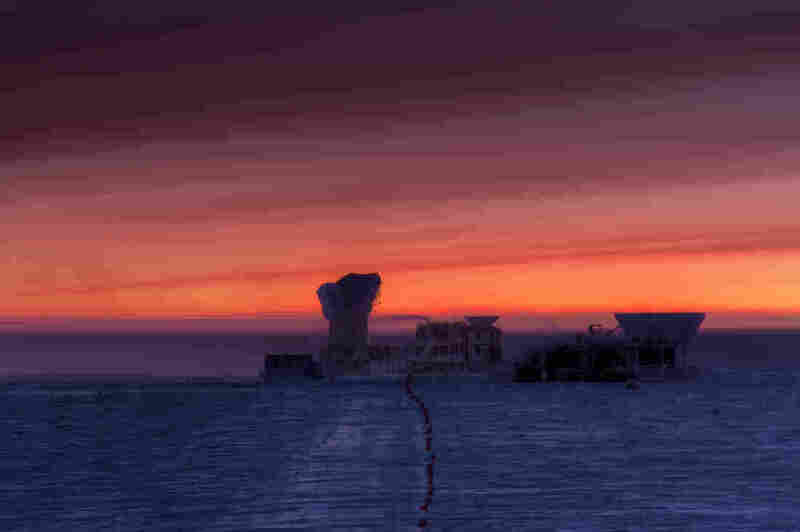 The sun rises behind the cosmic microwave background (CMB) radiation telescopes at the National Science Foundation's South Pole Station.